Hello listeners! My name is Mallory Donick and I am an Internet Law Attorney with Traverse Legal, PLC. Today I am going to be covering one of the most frequent questions I get from callers – how do you remove defamatory search results from Google? 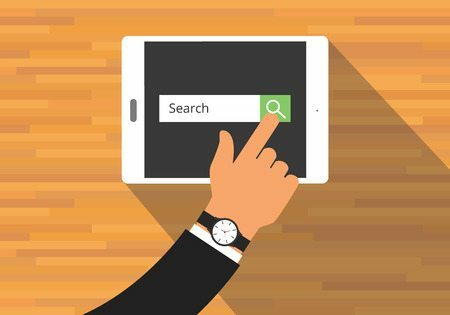 While it is possible, removing defamatory search results from Google is more difficult than other types of search results, such as those that include confidential information or infringe intellectual property rights. This is due both to the fact that: (1) Google is protected as an interactive computer service provider under Section 230(c) of the Communications Decency Act and (2) that allegedly defamatory content is often protected opinion under the First Amendment. It is a common scenario: Someone publishes a negative and/or false post about you and/or your business on the internet. When you or your company is searched on Google, the negative post skyrockets to the top of Google’s search results. You then begin to feel the negative ramifications of this search result personally, emotionally, and financially. You have tried to get the post removed by contacting the poster and the webmaster without any luck. (Side note: Traverse Legal offers Defamation Assessments in which we analyze whether the statements made about you are defamatory and then send the poster and/or webmaster cease & desist letters to attempt amicable removal). This search result is embarrassing – what can you do? Thus, this leads to the next question I usually receive – How do I get a Court Order? Unfortunately, it is a common misconception that you can just automatically get a Court Order. In reality, to obtain a Court Order, you will first need to file a defamation lawsuit against the poster. If the identity of the poster is anonymous, you will need to file what is called a “John Doe” Lawsuit and will have to utilize court procedures to subpoena the website for the poster’s IP address. Once you have the poster’s IP address, you subpoena the Internet Service Provider for the identity associated with IP address, who you will then formally name in the lawsuit. You proceed through the defamation lawsuit, either through settlement or trial, and ideally come out with a Court Order indicating that the post is defamatory and must be removed. Then, you can submit the Court Order to Google to remove the post from the search results. If filing a lawsuit is too daunting or expensive of a task, which it is for many people, there are companies out there that offer online reputation management (“ORM”). Via search engine optimization (“SEO”), these companies are able to “push down” negative Google search results so that they no longer appear at the top. Eventually, if they are no longer on the first page, it becomes less likely that searchers will locate the negative post about you. While the issue of whether ORM companies are worth the investment has been debated, there are resources out there to help you choose the best ORM company for your needs. Overall, the law is still catching up to the internet in regards to defamation. Hopefully in the near future there will be more accessible, inexpensive, and effective ways of removing defamatory content from search results and the internet generally. In the meantime, directly contacting the webmaster or poster remains the best way to attempt removal of defamatory content. If you have been the victim of internet defamation and want to know more about removal options, contact Traverse Legal today. This is Internet Law Attorney Mallory Donick signing off until next time. Take care!